Frankie Bridge shares her styling secrets and fashion regrets | HELLO! Frankie Bridge has grown up in the public eye, having first found fame as a member of S Club Juniors when she was just 12 years old. So it's understandable that the singer, now 27, often looks back on some of her fashion choices with regret. "I always say it's so unfair, you've probably had loads of things you look back on and say 'What was I thinking?' But everyone can google mine and laugh at it," Frankie told HELLO! Fashion. However it was an appearance with girl group The Saturdays that embarrasses Frankie the most. "When we first started in The Saturdays, we went to a premiere with all these dresses that just looked like bin bags," she explains. "Coloured bin bags with bows on. They were just horrendous! I knew they were horrendous at the time but we had no option and they were just awful and I don't know what we were thinking!" 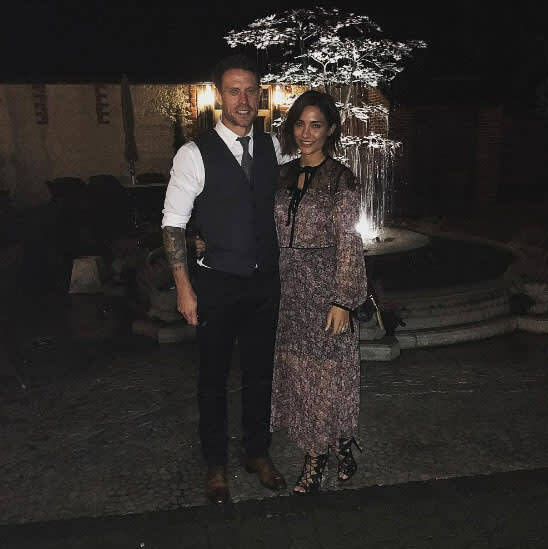 Frankie's fashion sense has now evolved, along with that of her husband Wayne Bridge, who she admitted to styling when they first got together in 2011. "When I met him I went through his wardrobe and was like: 'What were you thinking? No, get rid of that.'" Frankie revealed. "What I always find funny is he had a white leather jacket. I don't know who he thought he was but a white leather jacket is not okay! He was like, 'No it will be good in the summer!' And I was like, 'No it has to go.'" Now the pop star's sense of style, which she describes as "girly with a bit of an edge", has landed her a role as Thomas Sabo's first UK ambassador. "I like to feel feminine but I don't like to feel too girly-girly so I try to toughen up what I wear with maybe ankle boots or whatever," the 27-year-old told us, explaining that teaming up with the jewellery brand felt like the perfect fit. "The more you get to know it [Thomas Sabo] the more you realise how diverse their stuff is and how many different things they do," Frankie said. "I think it's the perfect pairing because my fans and the people that look at what I'm wearing, they can afford it. They do real diamonds at affordable prices, so it's stuff that anyone can wear." Frankie is such a fan of the brand she has already been dropping hints to her husband Wayne to buy her a Thomas Sabo necklace for Christmas, while she admits her girlfriends will all be receiving the label's iconic Love Bridge bracelets. "They were all dropping massive hints last time I saw them so I think I'm going to get them all one of those and that's them done," the mum-of-two revealed. But she is yet to get anything for her husband Wayne and their sons Parker, three, and Carter, one. Frankie admits: "I'm quite a last-minute shopper!" With Christmas fast approaching so too are lots of get-togethers and parties, so what does Frankie think is the ideal party outfit? "I'm a massive black midi dress fan. I think the short black dress thing has gone into midis now. 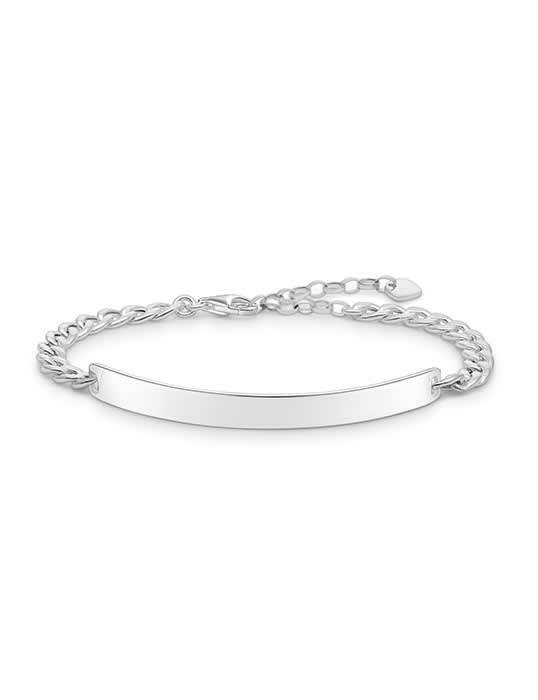 I love them, I think they're flattering on most people with a pair of simple heels and then you can accessorise more with jewellery so it's perfect for Christmas." As for the trends she avoids? "I'm not really a massive sequin fan," Frankie confessed. "I always find at Christmas and New Year the shops are full of sparkly dresses and that's just not me. I think you can do sequins in a cool way, but I think there's a fine line!" Frankie Bridge is the UK & Ireland ambassador for Thomas Sabo. The new AW16 collection is in store and online now. www.thomassabo.com.